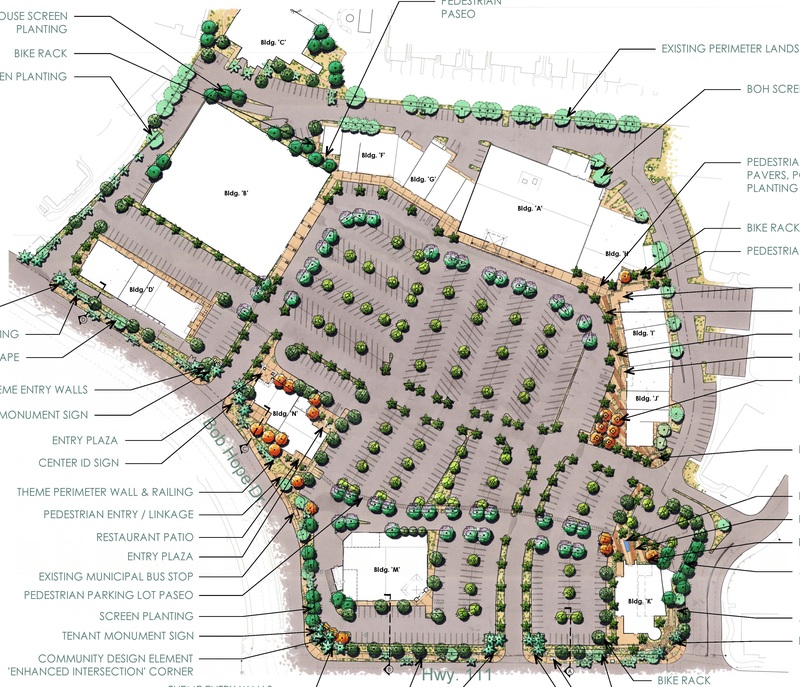 Redevelopment of an existing 20-acre shopping center located at the intersection of Bob Hope Drive and Highway 111 in Rancho Mirage, CA. The center currently houses 160,000+ square feet of GLA and some of the existing tenants include CVS, Wells Fargo, Draper’s & Damon’s, Tuesday Morning, Thai Smile and D’Carlo’s Italian Cafe. The center is undergoing a significant renovation and re-tenanting program to reposition the asset, with upgrades to all the buildings and open space, as well as reconfiguration and/or relocation of many of the existing tenant spaces to accommodate new uses/tenants. The project is broke ground in Summer 2015. On behalf of Paragon Commercial Group, Urban One provided tenant coordination and construction management services for the redevelopment of the property. Architect Robinson Hill Architecture, Inc.
Landscape Architect Land Creative Inc.
Paragon Commercial Group acquires, develops and manages high-quality, value-add retail investments anchored by best in class, creditworthy retailers in high barrier to entry markets providing attractive risk-adjusted returns to Paragon’s investors and stakeholders. As a fully-integrated retail development firm with over 50-years of collective retail experience and a retail resume in excess of 10 million square feet of neighborhood and community centers, Paragon’s deep market knowledge and tenant relationships provide a constant grassroots pipeline of acquisition, development and redevelopment opportunities. 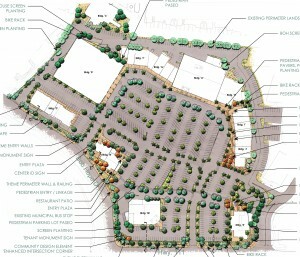 Progress photos of the Rancho Las Palmas Shopping Center Redevelopment coming soon to Urban One’s Flickr page.